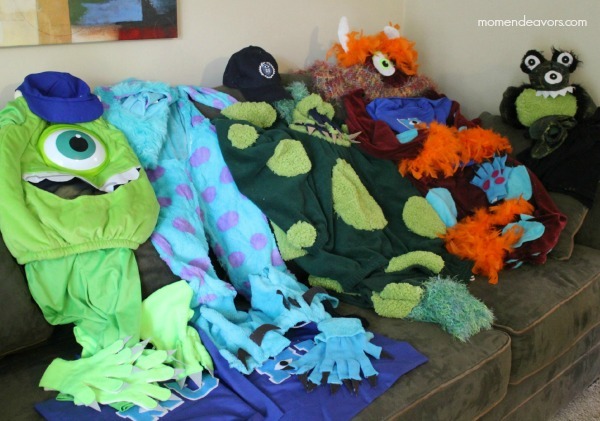 Now, right off the bat I need to say that we did NOT make the Mike & Sulley costumes (but we did embellish). The cost of the fur/fleece alone needed was almost the same price as the costume we bought and we decided that those two were just too labor intensive. So, we bought those costumes and then went from there. For both the boys, we made “MU” trick or treat bags (<— click for the bag directions tutorial). For the rest of our Monsters U group, we just had a bunch of random fun! This is where you can let your creativity shine–really, you can do whatever you want here. If you’ve seen the movie, there are SOoooo many different kinds of monsters – all kinds of colors, spots, spikes, scaly, slimy, hairy, horns, claws, polka dots, big, small – you name it and it works. So, I decided to go the upcycle route here and hit up some local thrift stores for inspiration. The base for our adult costumes were some cheap matching sweat suits (less than $10 each). I didn’t care what color, I just was going for matching tops and bottoms. We had a Monsters University hat from a fun Disney event. So, that worked for Mr. Mom Endeavors. And, the sweatshirt I found had a hood – which was PERFECT for creating an awesome monster look! Really, look for anything that could create a fun look. I bought a bright orange feather boa, a crazy furry scarf, a cheap green fuzzy blanket, a fuzzy black that already had horns, and part of a dragon costume (that was missing pieces). My costume also used some felt pieces (for the polka dots). 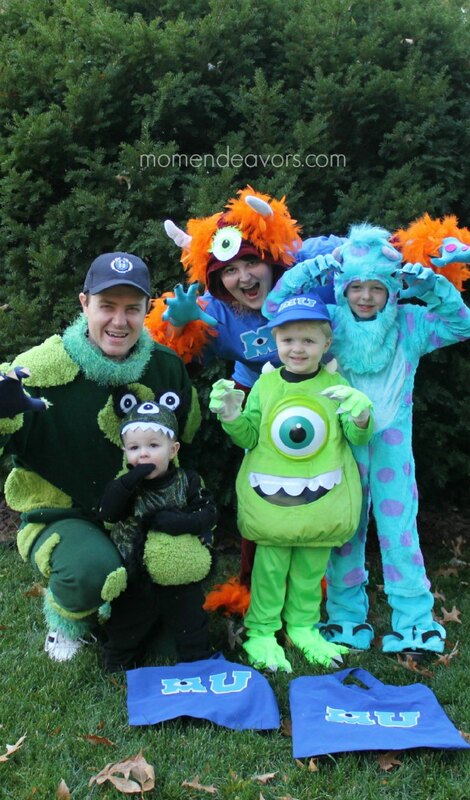 And, just like with the Mike & Sulley, we used some cheap $1 knit gloves & added claws. On the hood of my costume, we sewed in the horns (that we cut off the cheap hat I found. 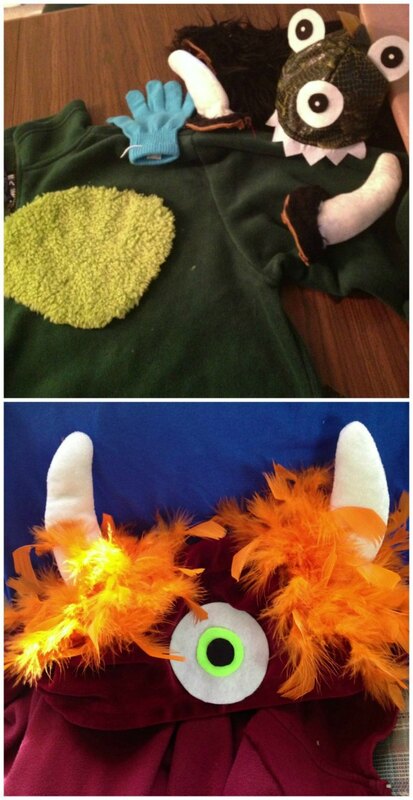 Then, I hot glued on a felt eyeball (just created with different sized felt circles) and hot glued on cut pieces of the feather boa around the horns. AWESOME! My outfit was a zip-up hoodie & I didn’t want the zipper to show. 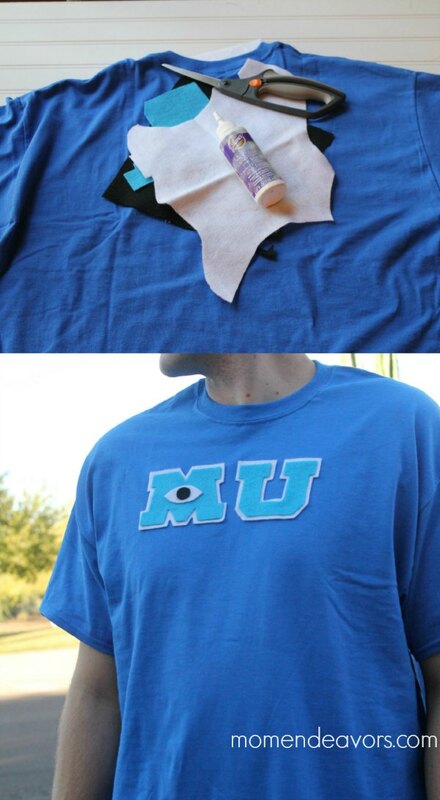 So, we created a simple Monsters University T-Shirt (using the same method as with the trick or treat bags). SUPER easy! I decided to coordinate Mr. Mom Endeavors’ and Baby Brother’s costumes, a bit. For Baby Brother, I used the pieces off the dragon costume I found and embellished. 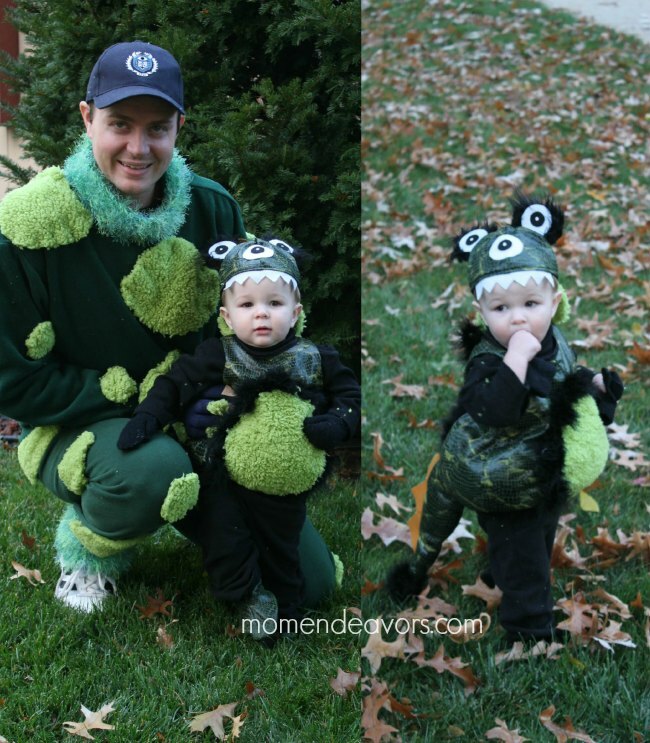 I cut the same fuzzy green blanket to add texture and fun to both costumes. On Mr. Mom Endeavors’, there were spots all over and on Baby Brother, I added it to the belly. Those were just hand-sewn on (basically just barely tacked) and then we put some hot glue on for extra hold. We also cut up pieces of a fuzzy scarf to add to the neck & feet for some added texture & color. We also added an eye ball to Baby Brother’s costume (again, just cut felt) and added some pieces off a black feather boa. They looked SO cute together!!! Again, the beauty of this theme is that for the extra monsters you can do anything you want! Just get a variety of colors & textures and go to town. Adding a few recognizable logos (like on the bags and the shirt) then really helps tie the whole thing together! We had SO much fun with this theme…and can’t wait for another Disney character family costume theme again this year so stay tuned for that! 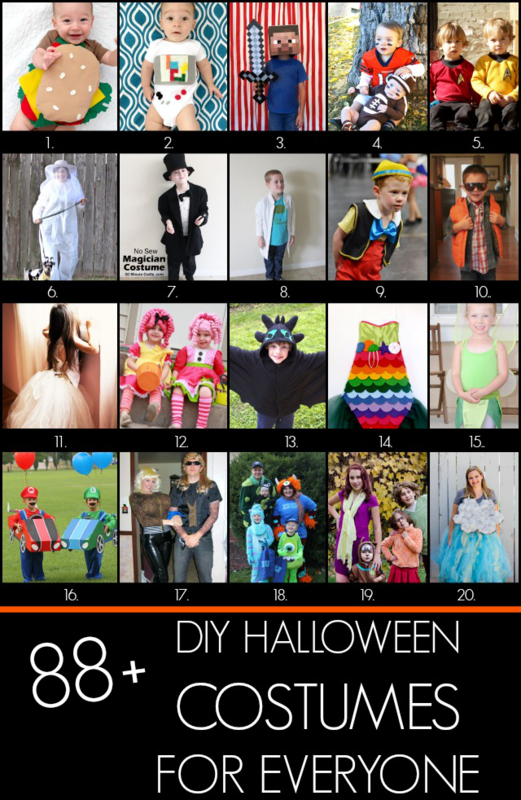 Now…are you ready for even more DIY Halloween costume fun?! 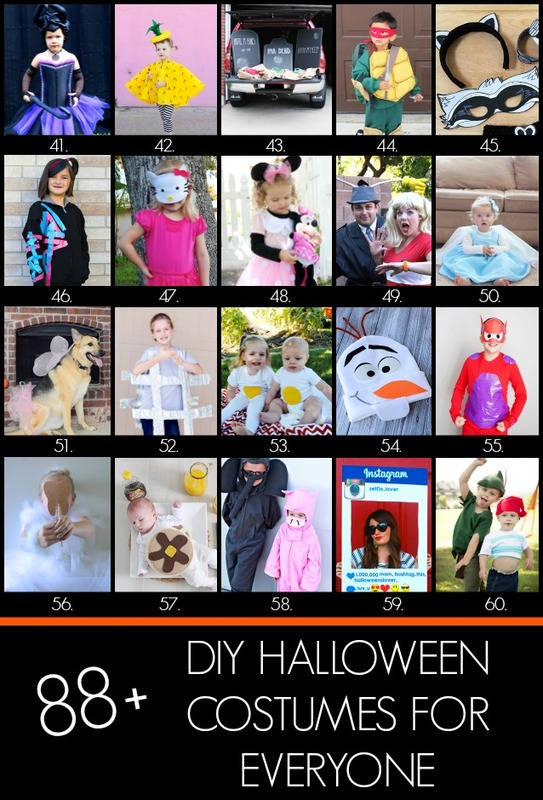 A big ol’ group of creative bloggers teamed up with Jamie Dorobek and her handmade Halloween costume site, Really Awesome Costumes to bring y’all tons of easy ideas to craft up DIY Halloween costumes for everyone! 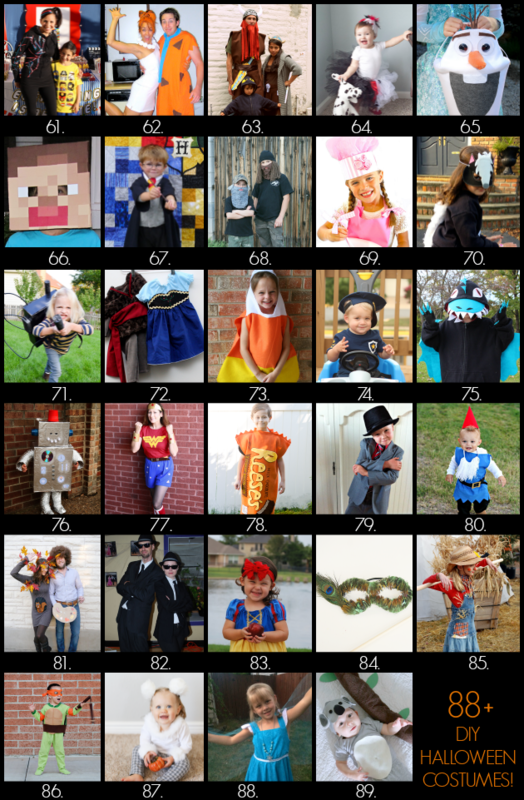 This list of 85+ DIY costumes has something for just about everyone – from kids and pets to family costumes…and even a trunk or treat idea! Have so much fun browsing through all the adorable ideas! Just click on the links below each collage to get the detailed instructions about how to make the costume pictured, just like mine above. 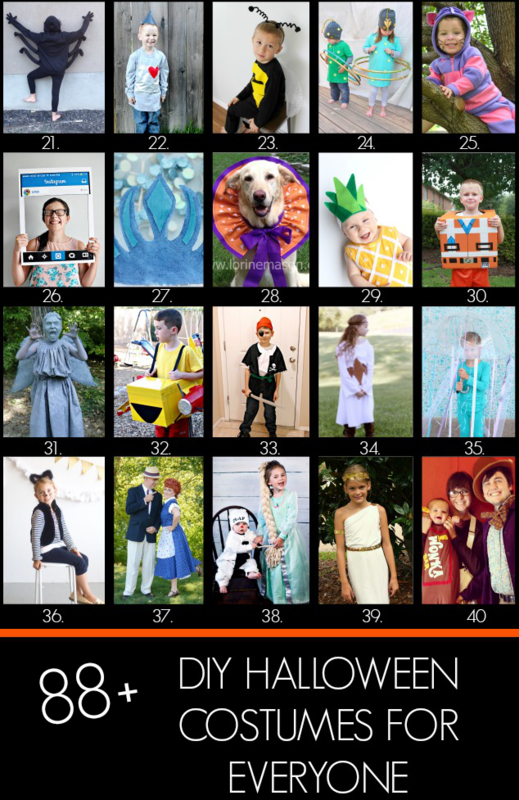 Don’t forget to follow the Handamde Halloween Costumes Pinterest Board or my Favorite Characters Halloween Costumes Board (with LOTS of Disney-themed costume ideas) for even more DIY costume greatness! Aren’t they all SO fun!!! Hope you enjoyed! 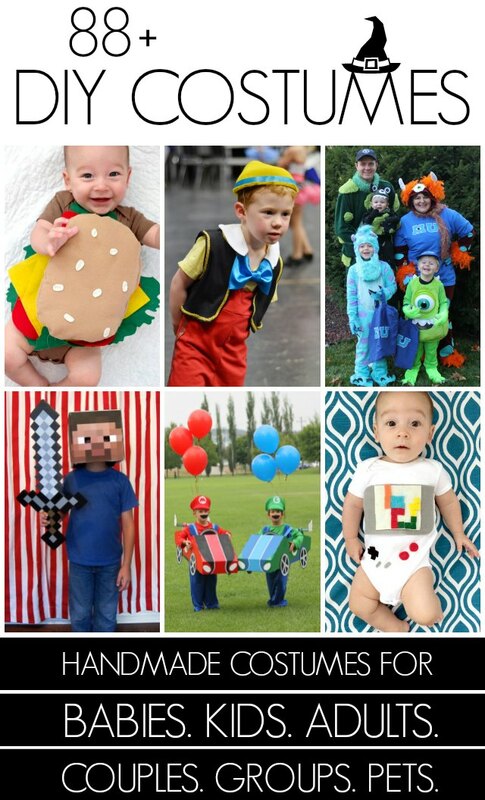 What handmade costume idea(s) do you love the most?! 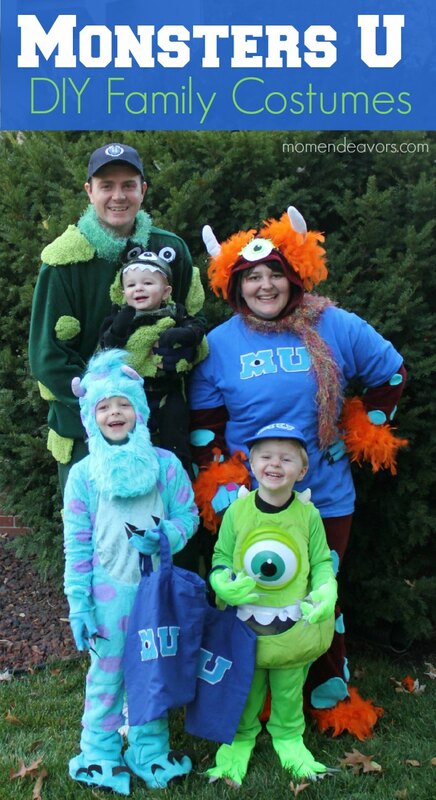 Such a wonderfully creative (and easy) set of costumes! Stopping by from the hop (#14 mermaid). Pinned this to share! How much fun !!!! Your family is beautiful (or should I say HANDSOME?) Everyone looks like they are having fun. 🙂 No Way would my DH ever dress up! Lucky you, lucky boys. So many fun memories in the making . Hugs…. 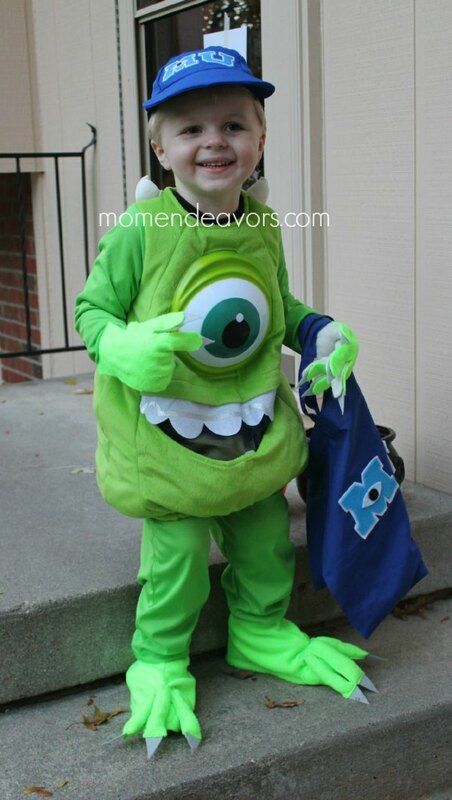 Just saw your child’s Mike Wazowski costume. I know you say you embellished it…but where did you get it from? I can’t find anything I like quite as much online for my 3 year old.